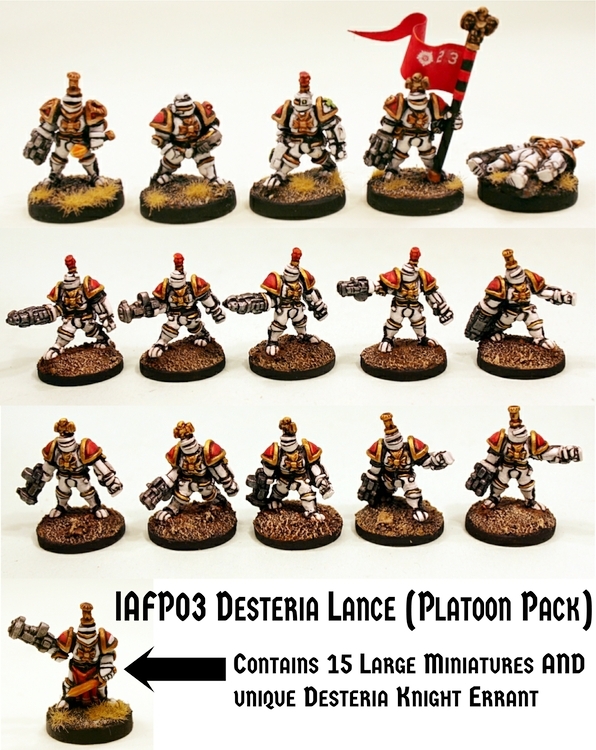 The Ion Age Blog: IMP41 Baron MacCauld Desteria Knight free for all January 2017! IMP41 Baron MacCauld Desteria Knight free for all January 2017! 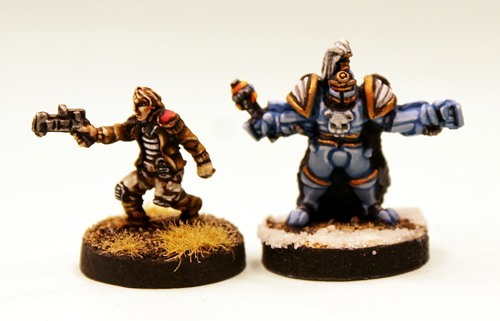 January is when we have our deep cold themed monthly miniature and so welcome to our 41st month and a new 15mm character. He is free in every order every time all month before being retired. This miniature is automatically put into every order at the rate of one per order regardless of order value. It can also be bought in any amount on the monthly IMP page of the website for this month only too before being withdrawn on the first of next month. We are into Year Four now and if you missed it you can see the Year Three Collection on the website. This month's miniature is a superb character by Sam Croes. Standing 20mm to the eye line it is male baron in noblesse armour with fur cloak and powered mace. Baron MacCauld who is a dynamic leader for your veteran knights. Pictured with a human adventurer from IAF104 Prydian Adventurers (16mm tall). There is a growing page on the Ion Age website where the current and all former IMP series free miniatures are shown so that you can see what came before. Enjoy looking at what came before. 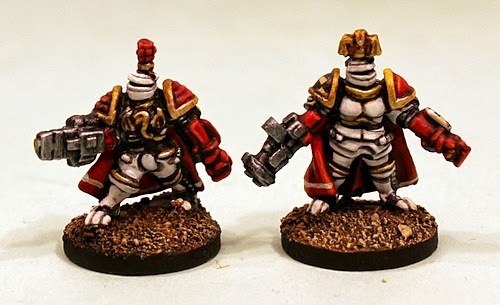 This miniature is worth 1.00GBP. We ask you to sign up for a website account with us on your first order. Why? For one reason only. Not to send you emails (we never will. If you want our emails sign up for our Mailchimp list on the right top of the blog home page) or to pester you; but only to keep track of the Reward Points that all orders with us earn. Reward Points through our online partner Sloyalty which can be used once accumulated to get discounts or free stuff at any point in the future. Learn more about this HERE. Every order earns Reward Points! Yes free extra value. Part of our promise to keep the fun in wargaming. We are back from a well deserved break and raring to go. This month we have a fantastic new release for the Shia Khan Empire which will get us rolling on the build up to the new expansion to Patrol Angis mentioned during December and it will make all those who have Malig Space Goblins and our mad Infernus Ball Tank smile. We will also have a new poster and it is one which has been requested so many times from us...a star map of the Prydian Precinct of huge level of detail and set in 4330 IC at the height of the civil war. Deserving of a place on your wall no doubt. Lastly we have a new month long special offer...this time it is on the super heavy hitter of the Desteria Knights with 50% off the list price of IAF013 Murdo and Gulaine who go great with Baron MacCauld. Remember you also make a saving and get a special additional free miniature in the IAFP03 Desteria Lance platoon pack. Click on the links to learn more. As always if you are reading this bulletin later in the month or further into the future please do have a look at our blog and use it as a time machine to read all the excellent content that is there going right back to our start. Try January 2014 for instance! Thanks for your support and for enjoying The Ion Age...now wrap up warm!